Janus Henderson - What’s fuelling global dividend growth? A strengthening global economy supported faster dividend growth in the first quarter of 2017, but which regions and sectors were the standout performers? 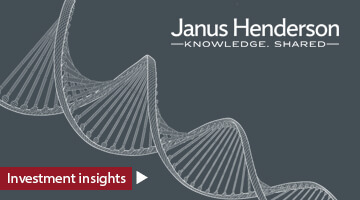 Jane Shoemake, Investment Director on Janus Henderson's 13-strong Global Equity Income Team, summarises the latest findings from the Janus Henderson Global Dividend Index, a study into dividend trends from around the world. We have a wealth of intelligence tailored specifically for advisers. Fresh perspectives on the markets from our fund managers, views from your industry peers and guest feature pieces, there is plenty to hold your interest and to equip you with original insight when speaking to clients.